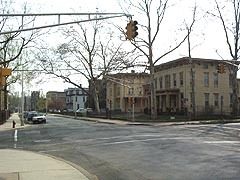 Ewing – Carroll district is located in the middle of the Trenton neighborhood referred to as Coalport/North Clinton. It is approximately six city blocks in area consisting of structures which were constructed during the period from 1865 to 1890. The district’s predominant architectural styles, Second Empire and Italianate, are repeated continuously throughout the primarily residential neighborhood. There is a simple combination of architectural styles in the neighborhood which contributes to its casual uniformity. Modest three-story twins and rowhouses characterize the district while Clinton Avenue does have several mansions. One significant industrial building remains in the District, the Maddock factory at 100 Carroll Street, currently occupied by the Rescue Mission. The Area was separated from Downtown Trenton by the D&R Canal (now Route 1) and was regarded as a prime development site for residential and industrial interests. The location of the railroad along the Canal and the nearby passenger stations were viewed as enviable amenities. 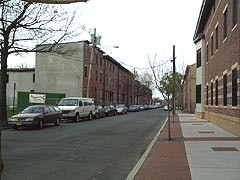 Between the years 1921 and 1964, the Ewing-Carroll district played host to students from Rider College which was established at the corner of Carroll and East State Streets and along upper North Clinton Avenue. 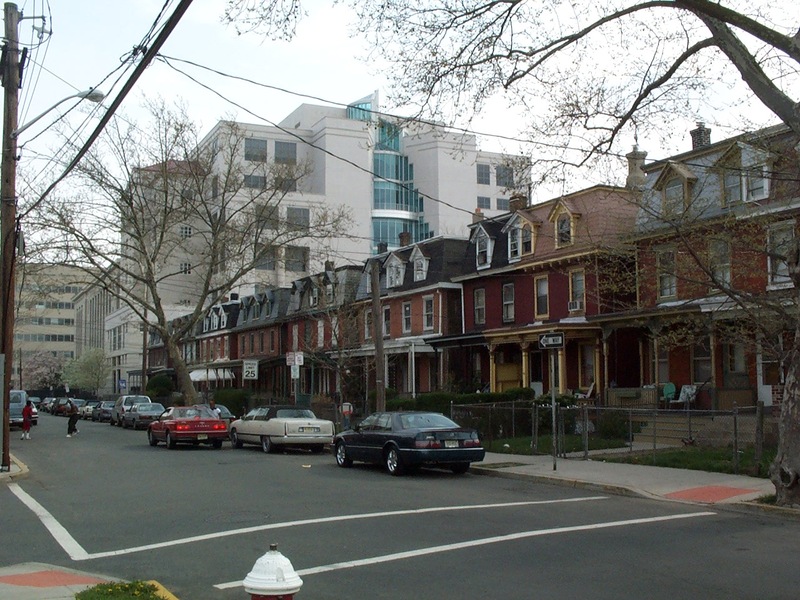 The Ewing-Carroll district is a classic example of a “railroad age” community developed when middle class workers and industry’s successful executives lived side-by-side in order to be near the place of their livelihoods.